Let’s drive Cameros and eat tacos! 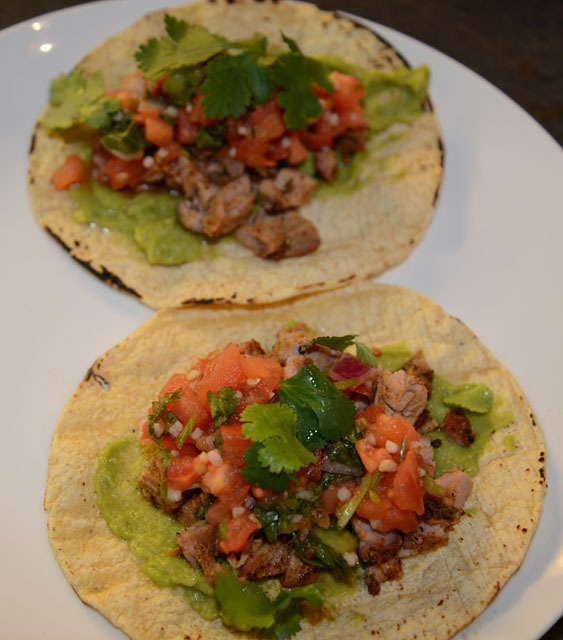 Roasted pork tenderloin tacos, corn tortillas, guacamole, fresh salsa and cilantro. The pork had a chili/cumin/coriander rub on the outside, and was roasted at 400 degrees until internal temp was at 147 degrees (and I’m still not dead!). May I say that was the best quickie I’ve had since the last millennium? Me too. I wish I had the wherewithal to actually eat another 3 or 4 of those before I fell victim to a power nap (read: power blackout), such that I could function the next day. CURSE YOU JARGARITAS AND YOUR DELICIOUS WILES! 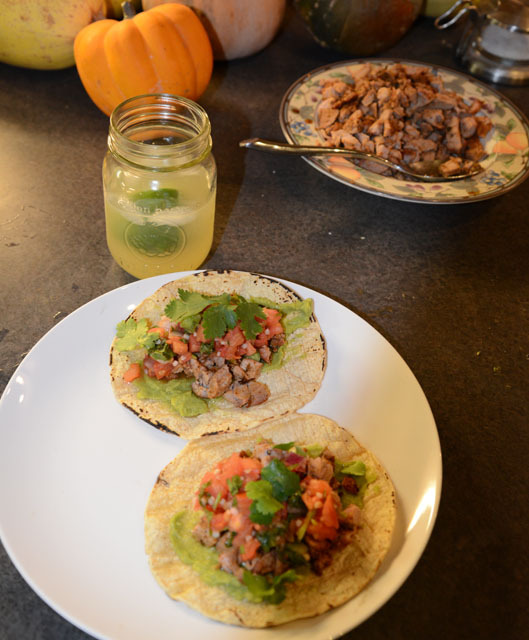 Blessed be the taco makers, for theirs is the kingdom of flavor.